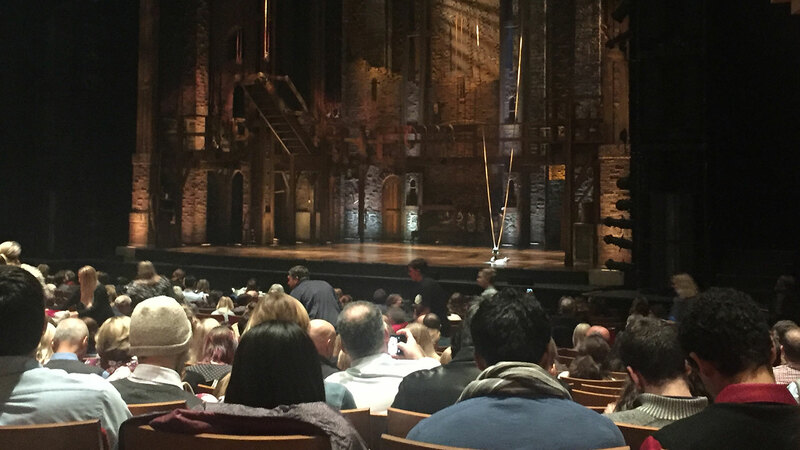 After forking out a whole lot of money to see Hamilton over Thanksgiving weekend, I wondered if it could possibly live up to the hype. Well, not only is it an incredibly innovative and entertaining theater production — it’s a cultural phenomenon. In fact, Hamilton is everything. Here’s why. 1. Hamilton brings people to the theater who otherwise might not come. I attend several shows a year at the Durham Performing Arts Center, and at some point, I always look around and count how many non-white people I see. With a few exceptions, I usually don’t get out of single digits. On the night I saw Hamilton, a significantly diverse crowd came to the show. In a town like Durham, which as of 2016 was only about 50% white, this proves there is unmet demand for productions with more diverse themes and casts. Try to get tickets and you’ll see what I mean. 2. Hamilton showcases actors who don’t get as many leading roles as they deserve. The entertainment industry has grappled with a lack of good parts for deserving non-white actors for quite a while now. The #OscarsSoWhite hashtag finally brought the lack of diversity in entertainment into widespread public conversation back in 2015, but change has been slow to come. It didn’t take me long to get used to the idea of standout performer Nik Walker, who is African American, playing Aaron Burr. In fact, I think it was about the time he sang his first note. By the end, it was clear he had stolen the show with his brilliance. Another role hit me on personal level. Asian actor Marcus Choi played the part of George Washington. As a person of Asian descent, I was rooting for the guy as soon as I saw him listed in the program. But given his short stature, I had doubts about this casting choice. Probably the second best voice in the show after Walker, he delivered beyond anything I could have wished for, bringing tears to my eyes with his soaring solo. As I left the theater, I thought, “Why not cast an Asian in the role? Why not? ?” I was completely won over. 3. Hamilton uses contemporary music to tell a story rich with layered meanings. Arguably, the biggest star of Hamilton is actually the music. It’s no accident that the show uses modern forms of musical expression and choreography, forms that developed and grew as an evolution of, in reaction to, and even in opposition to, the values that began with the founding fathers of this country. In Hamilton’s lyrics and melodies, we can hear the influences of music from rap to hop-hop to R&B mixing with Broadway and traditional showtune styling to create surprisingly meaningful (not to mention catchy) songs. The music speaks to us in the language of today, helping us understand and relate to struggles that are universal even if the story is from the distant past. And, it’s not just any contemporary music, it’s music from Black traditions and artists that is now also the music of choice for many Americans, a poetically just statement in itself. 4. Hamilton envisions people of color as leaders, authority figures and architects of history. Historians have argued since the dawn of time about why some groups of people have oppressed others. I don’t have the time and space to get into the many causes of the social injustices we have today, and others are far more qualified than I to enter that debate. However, it is clear that the cycle of inopportunity perpetuates itself until we intervene to create an alternate vision, one of fairness and possibilities. By reimagining historical figures as people of color, we see and believe that others could have served in those coveted roles. We find ourselves thinking, yes, I see how that could have happened, and yes, I see it happening in the future — all while we are cognizant of the actual roles people of color held at that time. It’s a juxtaposition that resonates deeply. 5. Hamilton reminds us that diverse people make this country great. In recent years, disagreement has become our main form of public discourse. We haven’t been able to progress on many fronts because we’re too busy fighting and watching people push each other down. Until we accept our differences and work together to solve problems, we won’t move forward on things that are critical to our survival and well-being. Hamilton gives us hope that this can still happen. In the show, we learn that Hamilton was an immigrant, an individual who made unconventional choices and someone who brought his unique characteristics in service to this country. He devoted his energy, his talents and his life for the good of others despite mistakes and setbacks, and his contributions remain relevant today. Imagine if we were all allowed to do that. Elizabeth Snively writes for the Office for Institutional Equity and Diversity.